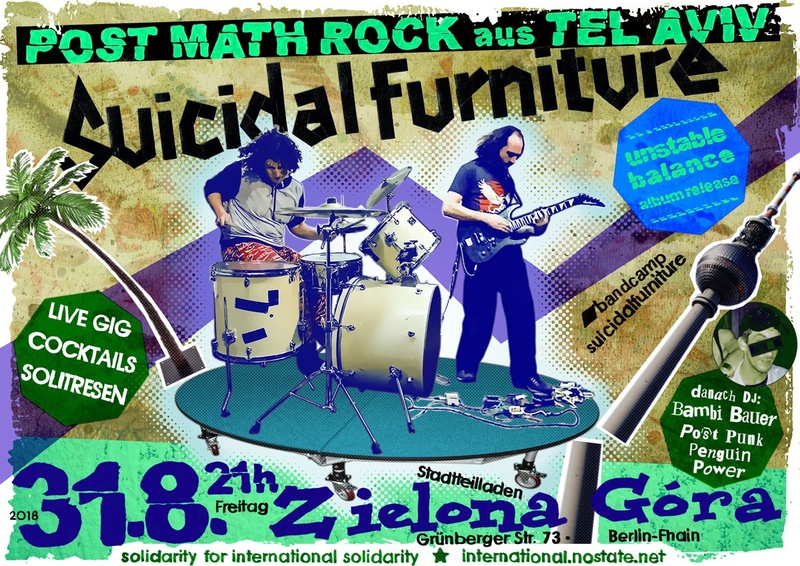 “Suicidal Furniture” are an avant-guard drums-guitar duo from Tel Aviv, with a post/meth/indie-rock sound. Guitarist Avinoam Sterenheim and Drummer Alejandra Levy met in 2008, sharing the same kind of visual approach to music which colors their unique, uncompromising and powerful expression. Known for their charged yet intimate dynamic, they conect images, stories and raw feelings that carry the listener away in a total experience. 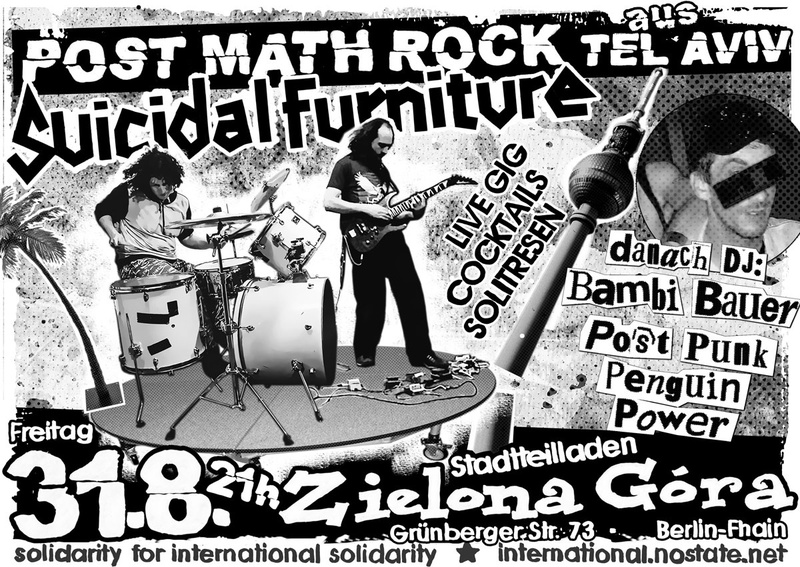 “Suicidal Furniture’s” music will always try an express more than a listener can take-in in one go. It is an explosion aimed at senses and mind, a form of ecstasy, the listeners usually is transported to the farthest reaches of their consciousness. Avinoam and Alejandra are motivated by their internal struggle, the release from the bonds of indifference, fear and self-deprecation, into a more genuine self-expression, where one can simply be. 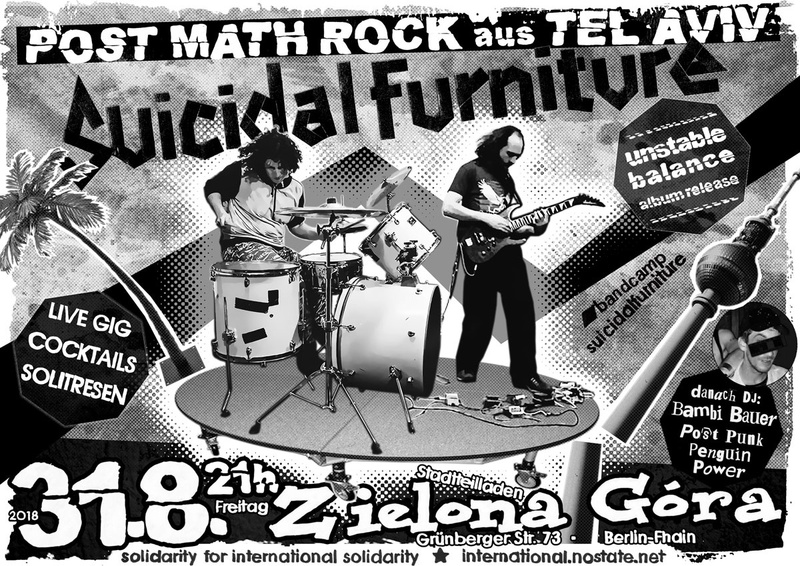 “Suicidal Furniture” break through the mundane stillness, crushing and annihilating the restrictive frames.